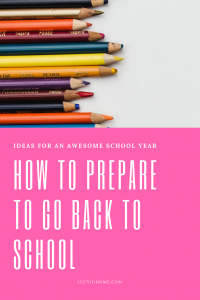 It is time to go back to school. 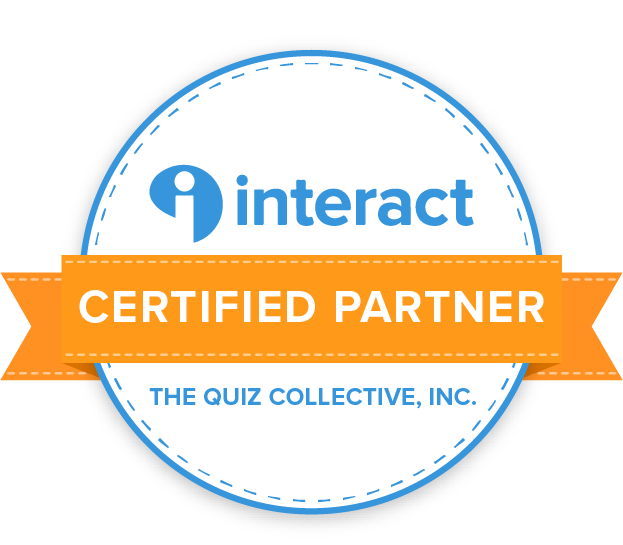 I am really gearing up right now because I am not only sending Jane to first grade, but I am also returning to teaching business communications at the local technical college here. I wanted to share a few things that I have been working on in hopes that it may help any moms out there. The first resource I wanted to share was a meal planner that I created that helps with variety. Click on the link below to see what I am talking about. You are welcome to print this and fill in your own recipes that will work for those general guidelines. I am trying to branch out of the 10 meals that I make over and over and over. Since I am going back to work I have been thinking a lot about how to get the best care for my girls while I am away. I sat down to make a schedule and a list of activities for the nanny to reference and it was super nice to have when we sat down together to talk about the coming months. Below is the list I compiled. It is helpful for mom’s and nanny’s alike. I do most of my school supply shopping online. Walmart and Shopko were my go-to this year and their prices did not disappoint. For clothes I went to an outlet mall near me: Children’s Place, Old Navy, and Carters. I am still on the lookout for some pants that fit my daughter’s tiny waist and long legs. This is a problem I don’t understand. Take advantage of the upcoming Labor Day sales and subscribe to store email list to get coupons for the stores you frequent. I also asked a lot of friends that had already gone shopping to find out where they found good deals. My hat is off to the family’s with multiple children in school. Right now Maurie is super easy since she tends to shed her clothing by 8:30am. All my hopes were on having the basement completely finished before school started and we are very close, but since time, energy, money and other resources are a factor, it won’t be complete. I can tell you this though. I organized my laundry room and it looks nothing like Julian Harris’ laundry room but I discovered even an ugly space looks better clean and tidy. So, even if your house is not looking like a magazine, give it a good cleaning and organize. 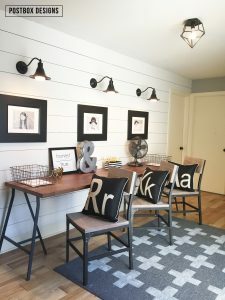 Here are some ideas for organizing those school papers that inevitably end up either all over the house or in a designated area. I LOVE Jillian Harris! She is fun, beautiful and real. Her laundry room is so lovely. 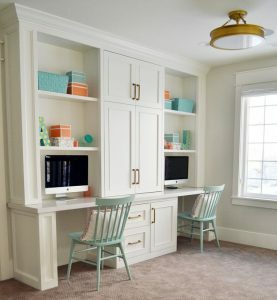 Create a command center that accommodates each of your children, your husband and yourself. 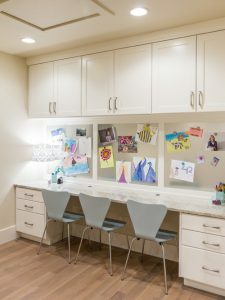 Elements of a command center include a calendar, boxes to hold papers (enough for each kid), a clock, menu planning, file folders, labels for each area/folder/binder: (receipts, coupons, school announcements, upcoming events, to file, for husband to see, home management, finances/budget, mail), pictures of the family, inspirational quotes, office supplies and notebook for grocery lists and quick referencing. This command center is all on the wall and is simple enough to not get overwhelmed. 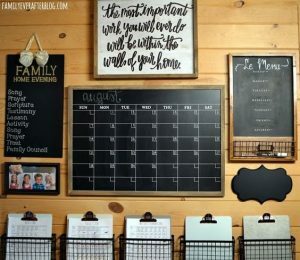 There is a place for family home evening assignments, menu planning, a basket for each family member, editable calendar, family pics, and a favorite quote. 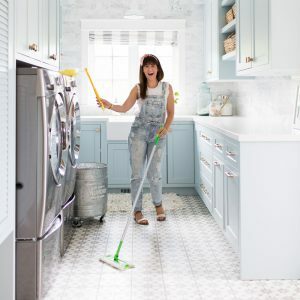 Like I mentioned in my house of order post, it is super important that this area gets a good cleaning regularly or this space simply becomes a dumping ground and doesn’t function efficiently for your family. Rotate out school papers weekly or bi-weekly and don’t forget the art project dump after your kids have gone to bed. Many of my friends let their kids pick their favorite one or two and then dump the rest. 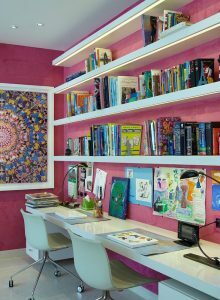 Another thing to consider ahead of time is a comfortable place for your kids to do homework and read. Here is some inspiration for you. After the events of Charlottesville, I have been thinking a lot about what kindness and tolerance mean. I am always concerned about how well my children do academically, but I am equally concerned that they know how to show kindness, be inclusive and appreciate and reverence diversity. Jane and I have had many conversations while we are out because kids notice differences and I have always said things like, “Isn’t that cool that they are different?” or “We respect other people’s decisions and for the Bowman’s, we do things this way.” I feel passionate about respecting others beliefs and agency. I always hope that Jane is blind to the prejudices that others hold so that she can openly and genuinely love everyone. There will be opportunities to teach your kids kindness and respect as they point out differences in the people, places and cultures they encounter.